Ring "big rose"light silver, adjustable in size. Sterling silver 0.925, nickel free, individually crafted in pure craftsmanship. Dimensions: Weight 5,75 g, Diameter 2 cm, Thickness 1 mm. 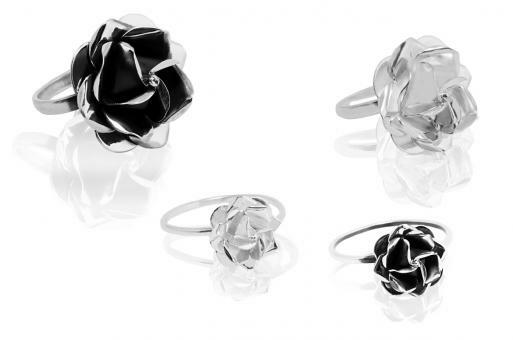 The elegant and playful big"Rosa" ring, translated as big"Rose", consist of four superimposed silver leaflets, which form the individual petals. The piece is made of sterling silver 0.925 and guaranteed to be nickel free. It is approx. 2 cm wide. we have the complete matching set, with: bracelet, pendant, necklace for this ring, with the same size and everything is purchased separately.